As we would fully expect from a new flagship release from Samsung, the Galaxy S4 has not only added a bunch of new and impressive hardware to the fray, but also a hatful of intriguing software features bound to make our life that tad bit easier. During the announcement of the device a couple of weeks back, the company made much of the Dual Shot feature, which allows both front and rear-facing cameras to operate simultaneously to capture images or video. Such a feature is useful, for example, if you want to capture your environment as well as your reaction to it, and although this feature is exclusive to Galaxy S4 users for the time being, it hasn’t taken long for a similar offering to reach the iTunes App Store. 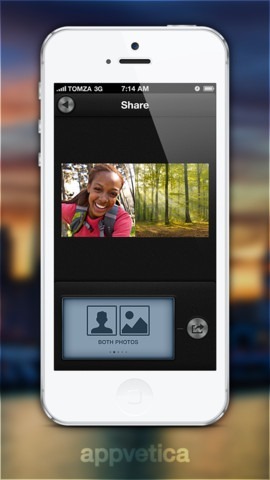 Named DuoCam, it allows you to readily snap images using the front and back cameras at the same time. Although Samsung’s demo showed images exported using picture-in-picture with dual cam, DuoCam allows you not only to emulate that same process, or alternatively stitch the two photos together. If you really want to play about, you could also overlay one image over the other, which would be good, for example, to snap your smiling face as you stare at a beautiful landscape. Dreamy. 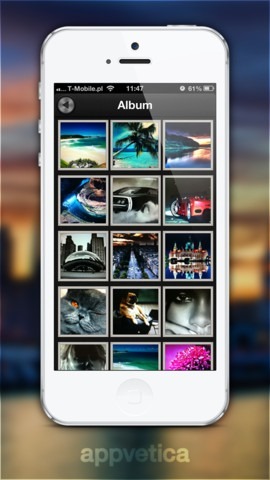 Once you’re happy with your creation, you can either save to the Camera Roll, or share via email, Twitter or Facebook. The app itself is absolutely free of charge, and although we’d love for it to support video, perhaps this is something developer Appvetica could be planning in the future. So, if you were somewhat intrigued by this particular feature when Samsung made its grand Galaxy S4 announcement, but aren’t quite ready to depart with your iPhone to satisfy your burning curiosity, perhaps DuoCam could act as your go-between. It’s a lot cheaper than the device itself, which will cost several hundred dollars off contract, although please be informed that it does require iOS 6+ in order to run. 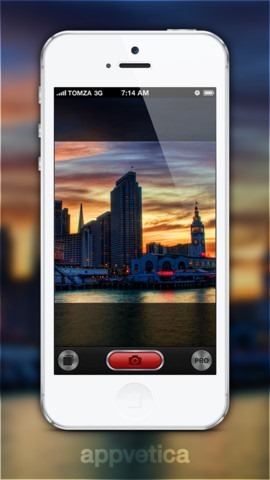 Let us know what you think of DuoCam for iPhone by dropping a comment below.